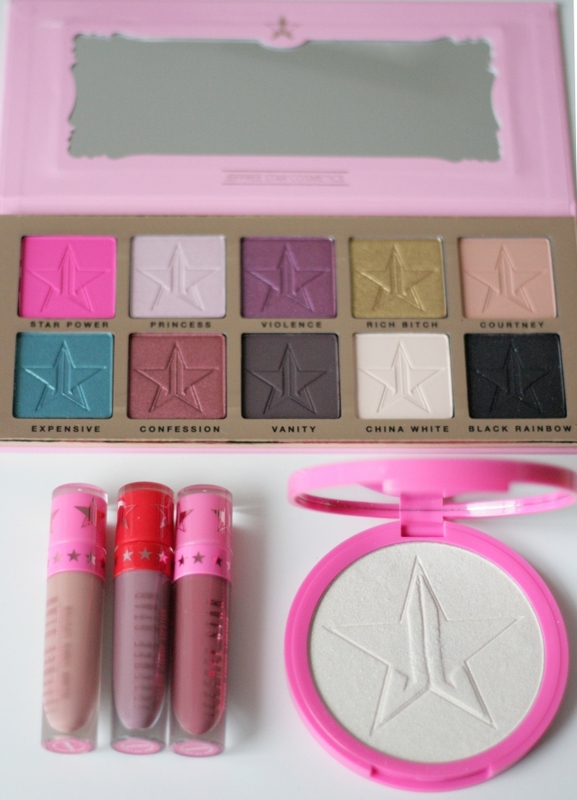 My first time trying Jeffree Star Cosmetics, here is a look using some of his products and a quick review. 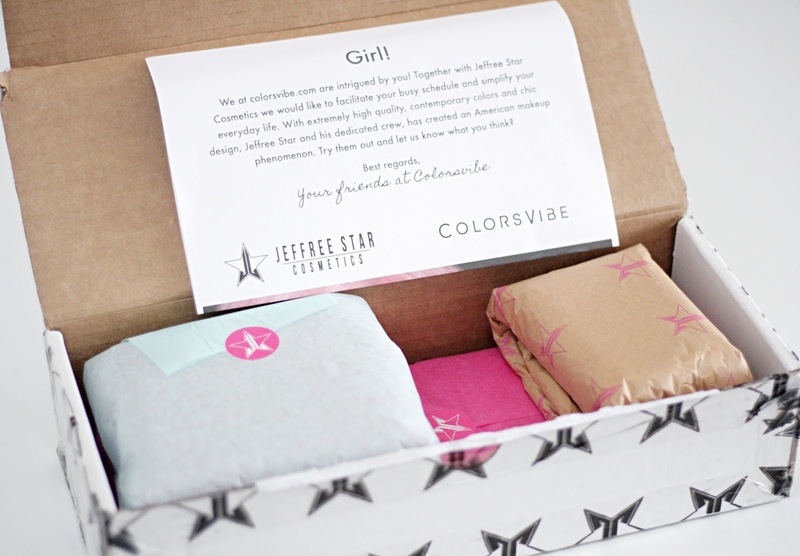 I was sent some Jeffree Star Cosmetics products from Colorsvibe to try out. I have heard a lot of things about his products, both good and bad things, and I'm SO excited to give these products a go myself and see how I like them. I'm going to review the Beauty Killer Eyeshadow Palette, the Skin Frost in the shade Ice Cold and three of the Velour Liquid Lipsticks in the shades, Mannequin, Sagittarius and Androgyny. If you're interested in what I used on my face on these pictures and how I liked the products, then keep on reading. For eyeshadow, I wanted to go for a warm-reddish toned look, simply because I love those shades. 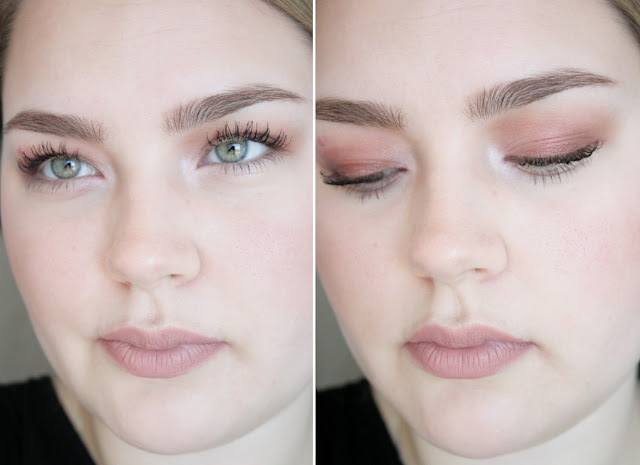 First I applied Courtney (peachy-brown color) into the crease, then Confession (satin maroon color) onto the lid, blending it into the first shade. 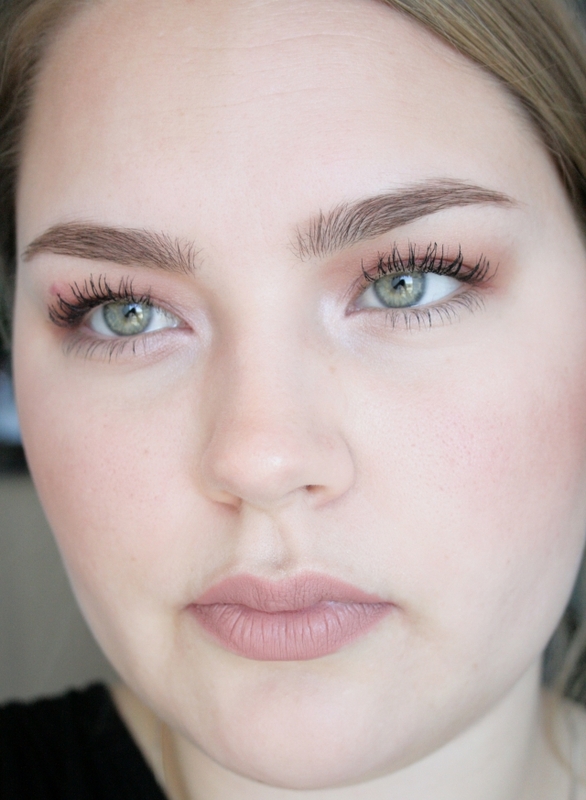 Next I used China White (matte creamy white color) on my brow bone and lastly I finish the eyelook with Princess (satin cool-toned light pink) in the inner corners of my eyes. For highlighting my cheekbones, I used the Skin Frost in the shade Ice Cold (light white/champagne color). And lastly for my lips, I used the Velour Liquid Lipstick in the shade Mannequin (light peachy brown color). 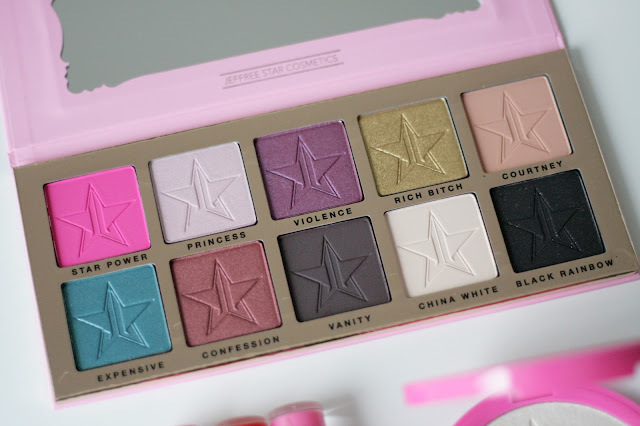 I really liked the eyeshadows, they were very pigmented, buttery and easy to blend out on the eyes. But because of them being that buttery, they turn quite a bit flaky when you dab your brush into the shadows and therefore you will also get some fall out on your skin, when you apply the shadows on your eyes, but I can live with that. The highlighter is a beautiful color, but something about the texture of the product seems a bit off. It's kinda waxy and therefore in real life, when you look at my face, you can really see it clinging on the the texture of my skin. On the picture I feel like it looks great though. 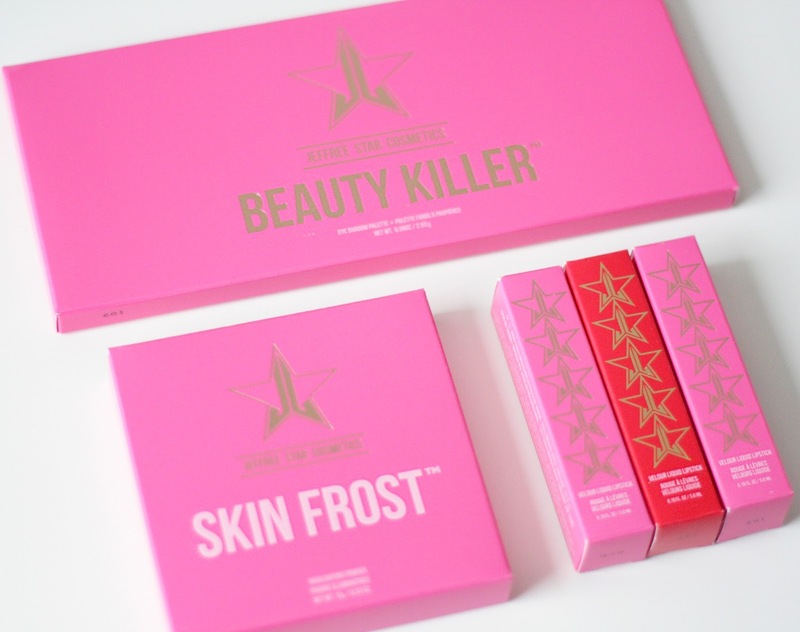 Lastly the lipsticks, all the shades were very pigmented and dried down to a matte finish. I especially love the shade Mannequin! The lipsticks are very comfortable on the lips, they're only a teeny-weeny bit sticky when you rub your lips together, but nothing that bothers me! Definitely the best feeling liquid lipsticks, I have tried. The only downside by this product, is that it makes the texture of your lips very noticeable, and they look like they're really dry, even though they feel great.